Bill Saxton - Henry Saxton b1894 in Eastwood Nottinghamshire, did he die, age 36, in Merthyr Tydfil from a mining accident. Unfortunately there is no overall database of mining employment available. Given the number of people employed in the industry over the centuries this would be a very large database — and the records just do not exist. 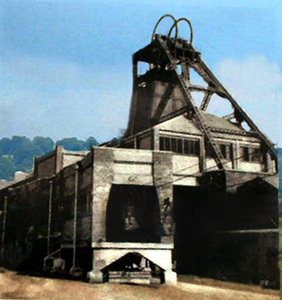 What records survive from the colliery companies (including the NCB) will have been deposited with a local archives service, probably the local Records Office or Local Studies library which you will actually have to visit to view the documents. My dad Matthew Patrick was hurt badly in a coal mining accident November 20th 1943. The accident happened in the Dumbreck Pit Seam 1. There were 2 seams of coal and they were kept apart. I did notice the name of Bairds and Scottish Steel Ltd on one of the forms, I guess that is who owned the mine. I remember my dad having skin grafts all over his body, he had no ear lobes they had been burned off and he walked with a limp, it seems he had to crawl through a tunnel of fire to get out. While in the Royal Infirmary it seems they did not realise that his arms were growing on to the skin of his body and they had to cut them apart and put him on a crucifix till the new skin grew in. A real horror story, which I think is quite normal for a miner, they had such a hard life. He never worked again after that. I contacted the Glasgow Royal Infirmary, records department to see if they still had the case files on my dad, and would it be possible to get a copy but it seems all records, except cancer, are cancelled after 6 years. Could you possibly tell me where I might find information on this. Dumbreck Colliery opened in 1877, it was one of a group of collieries sunk by William Baird and Co Ltd, primarily to supply coal to the firm’s Gartsherrie iron-smelting works in Coatbridge. It closed in 1963. 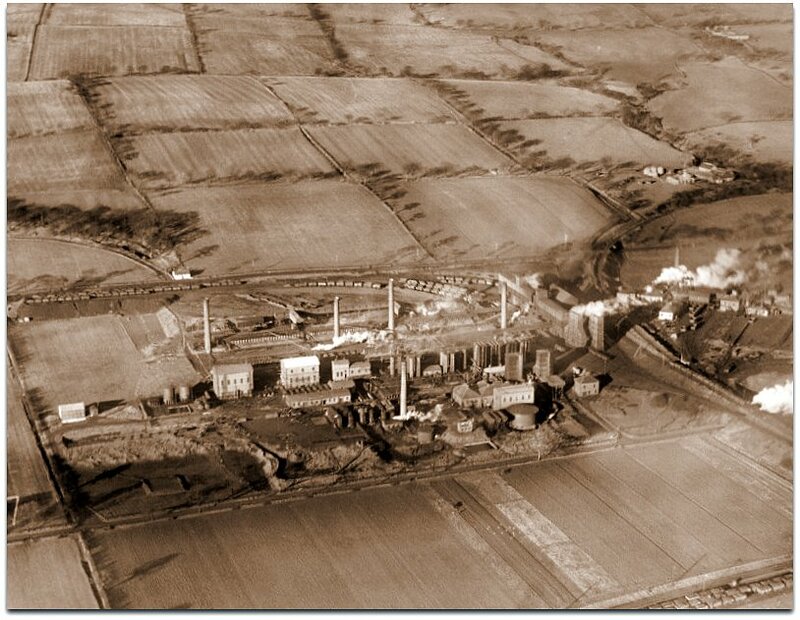 William Baird and Co. Dumbreck Colliery and Coke Ovens, Queenzieburn, Kilsyth. Oblique aerial photograph taken facing north. - Photo from Royal Commission on the Ancient and Historical Monuments of Scotland. There were a number of mines owned by Wm Baird and Co in Scotland. You could try the Scottish Mining Museum Website and the Mitchell Library, it has a lot of Archive material including old newspapers that might have the story in them. Opening times are on the website. Unfortunately I did not find anything relevant during a very quick search of both sites and Canada is a long way off, so popping into the Mitchell might not be so easy. Henry Saxton b1894 in Eastwood Nottinghamshire, did he die, age 36, in Merthyr Tydfil from a mining accident. I am trying to find information on my uncle Henry Saxton b1894 in Eastwood Nottinghamshire. 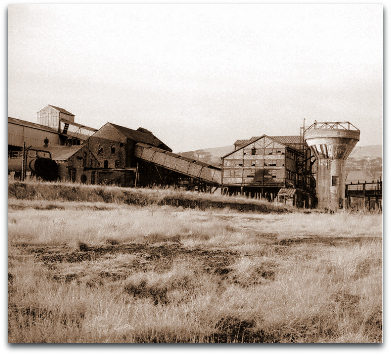 There is a record of an Henry Saxton dying in the 4th quarter 1929 age 36 in Merthyr Tydfil from a mining accident. I have checked the mining accident in Wales on the internet but I cannot find any information on him. Any suggestions where I could look or who to contact. The Archive service caters for all kinds of study, including researching the history of your house or the area where you live, tracing your family tree, and much more. You'll also find help to research relatives that were sailors on West Glamorgan registered ships. There is a search room and a family history room with helpful and enthusiastic staff who can help you discover the past. The Archives and Museum Service now have an online shop where you can purchase cards and books about the local area. Log on to www.swanseabayhistoryshop.com today! Reference George Henry Willis 1907-1983 Electrician and eventually chief electrician. I'm Neil Willis and my dad was in the Mines Rescue. He was born in 1907 so I imagine that he may have been active from around 1937 onwards. The only disaster I remember was something at Barnsley colliery, he worked in Derbyshire at Grassmore, Holmwood, Ramcroft collieries. I wondered if there is any way of getting names of rescue staff etc and probably the collieries they visited, for example I’m not sure if he went to Markham No 1 or not. There were two disasters at Barnsley he could have been involved in, 1942 and 1947. He might have been based at Hougton-le-Spring or Wakefield both Permanent Stations or Selby, part time. I am compiling a family tree for Bernard Arundel (aged 90) of Carr Gate, (Outwood/Stanley/Lofthouse) Wakefield, Yorkshire. They were all miners. I have traced their deaths but no where can I find how they died. Their deaths are listed as December 1797, although there was a mining disaster at Haigh in April of that year. I am trying to do a family tree and found out that my great grandfather Samuel Winfield was brought from Nottingham to be a leader of some sort at the Williamthorpe Pit sometime in 1909 give or take a year. He lived at 44 Compton Street Holmewood in 1911. Do you have any records do the workers at that pit, their payroll numbers, any photos, anything at all really.